Removal Companies UK To Spain - Is It Better To Rent Or Buy A Spanish Property? 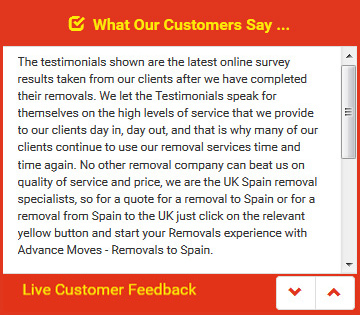 Removal companies UK to Spain specialise in international one-way moves for those who have decided to leave the UK for good to start a new life in Spain. The main factor to be addressed if you are making a permanent move to Spain is where you are going to live. In the UK, many people�s first thoughts will immediately hop to buying a property. The culture in the UK is to feel that, somehow, buying is �better� than renting, but this is not the same in other European countries where renting is the norm. Removals to Spain could therefore mean that you will rent a property rather than buying one. This has a number of advantages right from the start. The first is that, assuming you own a house in the UK, you could sell that to fund your Spain removals. If you were to buy a house before your removals company gets your possessions to Spain, they will have somewhere to go, but how much money will you have left over? It may be difficult to maintain your desired lifestyle if you put all of your money into a property. Renting will allow you to have more money left over to enjoy your new life. This is especially important if you have moved to Spain to retire. Renting also requires much less legal input, and less �red tape�, so the entire process moves much more quickly. Also, if there is a need or desire to return to the UK at any point, then it will be much easier to do so if you are renting and don�t own a property. Removal companies UK to Spain will move you to any property you choose within Spain, whether rented or purchased, and Advance Moves promises to discuss everything with you in advance. We offer advice on your move as well as removals packages � see our website (http://www.advancemoves.com/) for more details, or contact us on 0871 218 0612 or info@advancemoves.com.